Whether people realize it or not, California’s high-speed rail system is too important to emissions-reduction in state. It is a key component in the state emissions-reduction effort. And it is critical the high-speed rail project is built correctly. In fact, it was in the “Restoring unity, order, smarts, meaning, sanity and balance in the space we call travel – 2: Growth” post of Oct. 20, 2018, that pointed out was the lengthy weekday commutes that some in California’s San Francisco Bay Area endure. It is with these circumstances in mind, exactly, that high-speed rail could fit the bill in terms of it filling in for and eliminating many of these long car commutes. 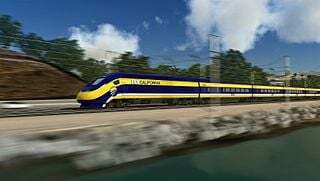 Being that California high-speed rail is a first-of-its-kind project anywhere in the United States, it has been a definite learning curve in constructing the initial 520-mile Phase 1 section connecting San Francisco and Los Angeles/Anaheim. It is to be expected that where its construction is concerned, not everyone with some connection to it is going to be satisfied with every facet of its building, budget, management and materials-procurement aspects all of the time. This is the reason for conducting audits. Okay, so I’m totally in favor of the project being built correctly. And, if that means that audits are conducted to ensure that outcome, if that’s what it takes, then that’s what it takes and I have no problem with that – none. So you know where I’m going with this, an audit was conducted, the corresponding report (California State Auditor Report 2018-108) released this month, in fact. In it indicated was that the California High-Speed Rail Authority (Authority) has a secured sum in the amount of $12.7 billion. As much as $15.6 billion in potential future monies has been identified.1 The 119-mile section to connect Madera and Shafter in the central and southern San Joaquin Valley, respectively (Construction Packages 1-5), the Authority estimates will cost $10.6 billion. That leaves a surplus of $2.1 billion. Three construction contracts have been awarded so far – CP1, CP2-3 and CP4. The cost of CP1, initially, was $985 million. The named section between Madera and American Avenue in south Fresno extends 29 miles. 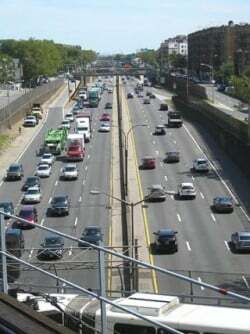 Once the contract was awarded, it was only later determined that an additional 3 miles on the north end was going to be added. This caused the cost to rise to over a billion dollars. I call this so-called “add-on” as an unforeseen expenditure – others have termed such an overrun. Then discovered were other unforeseen expenditures related to such, like subsurface utility relocation work etc., and with all of these things combined, the price got jacked up on these 32 miles to $1.6 billion. Next the State Auditor has pointed out that the Authority could stand to get its sustainability house in better order, that is, where construction is concerned. So, there is still some work to be done. It is my firm belief that as outlined in the report each and every one of these identified issues can be properly attended to and remedied. That’s perhaps the easier part. More importantly, maybe most importantly, and with respect to CP1-5 timeline, all sections must be completed by the end of 2022 or the Authority will have to hand back over to the federal government the federal grant of $3.5 billion earlier given to California high-speed rail. Moreover, it is a stated opinion of the Auditor that the pace of construction needs to pick up; in fact, at a pace double what it is currently to achieve that end. As I see it, if more employees are needed, then so be it. In addition, some of what may slow the building-machine advance down is remaining land and property acquisition. What I can tell you is that a goodly proportion of land and property has already been secured. These are not insurmountable obstacles to try to overcome, not by a long shot. Hopefully, with this latest audit and with its recommendations, the Authority is now well-positioned to achieve greater efficiencies with respect to spending, oversight, record-keeping and tracking of contract work and more – the more here referring to matters related to air quality and environmental sustainability – all in the name of moving the project along. This post was last revised on Nov. 16, 2018 @ 9:27 p.m. Pacific Standard Time. People will b*tch, p*ss and moan now. Once built, everybody and their brother and sister will use it and say it’s the greatest thing next to sliced bread. Does anyone doubt that the eventual cost of this system will reach $200 billion? A very small fraction of that cost could buy a lot of forest and brush management and a fantastic fleet of fire-fighting aircraft. Thus the basis for my saying: “This is the reason for conducting audits.” The project needs to be built correctly. “high speed”………it won’t be much faster than Amtrak. You will be able to fly from LA to SF for a fraction of what a ticket price on this train will cost, and get there hours faster. horrible roads in California. Instead the money is poured down the drain to all the crony construction companies who bought off Demoncrats in Sacramento. Amtrak in California has an average route speed, including all stops, of about 35 mph. The HSR will have an average route speed, including stops, of about 100 mph. I won’t wait up for you to explain how 35 and 100 are practically the same number. WHO’s going to pay for it? Moonbeam and the Morons planned to have PRIVATE INVESTORS and the FEDERALES pony up the cash, NONE of which has or is ever likely to show up… Outside entities estimate the cost will be WELL north of $150 BILLION, and that doesn’t include the inevitable lawsuits and as yet unsolved challenges of crossing seismically active areas…. IF this stinking POS is ever built, the technology will be outdated, and it will be a blight on the state with MOONBEAM’S name on it. JERRY’S FOLLY needs to be SHUT DOWN and the WATER NEEDS of the state addressed! “A little bit pregnant” would be the description you would use, I suppose. Much of the strength of the argument in favor of the HST is the LA to SFO run, replacing both air and vehicle emissions. All true. BUT….how does anyone in LA get to Union Station? Making comparisons to Amtrak on the East Coast needs to have the added thought that it kinda works….because it is one continuous populated region….where as between LA and SFO, the HST will find few riders to add. Don’t know if any of you have read the Auditor’s report, but even if you read only the “Summary,” there is nothing in there that I can see that suggests that the project shouldn’t be built. FYI: Where California high-speed rail is concerned, top train speed on dedicated portions will be 220 miles per hour, there will be no interference from either roadway traffic (the railroad is being built similarly to the way major highways are built, whereby roadway traffic is carried over or under on bridges and underpasses) or from other trains on the line going in the opposite direction – the line will be fully double-tracked from Los Angeles to San Francisco, all having bi-directional operating capability. Express trains will not stop at intermediate stations; only those trains designated non-express will. At stations, turnouts will allow trains making local stops to not interfere with those expresses bypassing stations. On the remaining sections between San Francisco and Gilroy and between Burbank and Los Angeles Union Passenger Terminal, presumably, track will be shared with other trains. 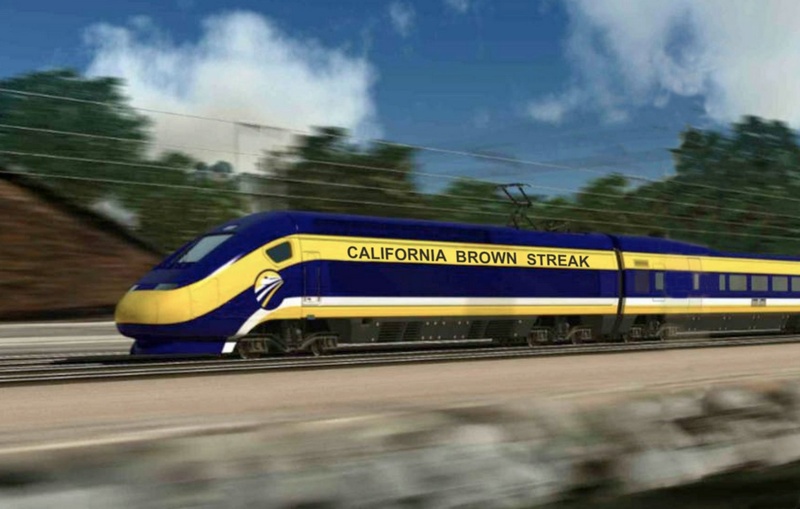 In the north, high-speed trains will share track with Caltrain, a commuter rail service. In the south, high-speed trains will share right-of-way with Metrolink, a commuter rail operation and presumably the Burlington Northern Santa Fe, a common carrier freight railroad. According to information in the Auditor’s report, where there will be no grade crossings (aka railroad crossings) and where track is to be shared, top speed will be 125 miles per hour. Where there will be grade crossings on shared (blended) right-of-way, however, top speed will be 110 miles per hour. To get an idea of what California is building, Amtrak on the Northeast Corridor (NEC) on the east coast, this is the closest to high-speed rail that America currently has. “Acela Express” trains operate on the NEC at a top speed of 150 miles per hour on the portion between Boston and the Big Apple, the whole 457 miles between Boston and Washington, D.C., meanwhile, is a “blended” corridor, meaning that Amtrak shares right-of-way with other passenger trains as well as freights and with no ill-effects. As for the California high-speed rail system where funding is concerned, the Authority has already secured $12.7 billion: $3.5 billion in grants from the federal government, $7.5 billion in bond funding provided by Prop. 1A, and $1.7 billion in Cap-and-Trade revenue, according to information in the audit. Meanwhile, identified and unsecured future funds = up to $15.6 billion. That assumes future Cap-and-Trade revenue of as much as $4.5 billion and “financing of cap-and-trade revenue through 2050” of “up to $11.1 billion,” also according to information in the audit. Low estimate is $7.9 billion. Lastly, according to information in the audit, it is my understanding that based on what was reported to the California State Auditor by the California High-Speed Rail Authority, again, as I understand things, the Authority has enough money to build between Bakersfield and Madera. So, being that construction is well into its third year with a significant amount of infrastructure already in place, with all of the money that has been spent to date, what would you suggest: that the Valley and Bay Area portions of the project just be abandoned mid-stride, mid-gait? How does that make sense? !